System Mechanic is a professional software which helps you to boost computer performance, and also fix a lot of problems that remain unseen. The software is not new, and as Windows evolved, the software included a lot of new features including privacy, security protection. Let’s check out System Mechanic in detail. 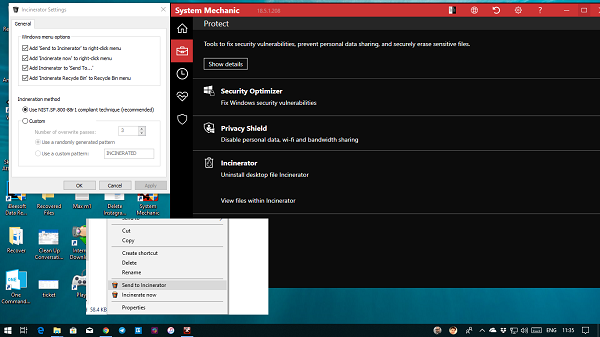 Once you install and activate your copy of System Mechanic, it will scan your system. The results are available on the Dashboard. It will reveal some issues on your computer, and recommendations. You can choose to repair all of them in one click or resolve them individually. The later gives you the opportunity to understand what’s wrong with your computer. The startup section can figure out if any dangerous program is onboard your computer, and also helps you to sort out unnecessary programs. It’s an extensive collection of tools which are majorly categorized into Clean, Speed up, Protect, Recover, and Manage. Using this, you can clean junk files, registry issues, private data, private browsing data, broken shortcuts, and so on. It also comes with an Advanced Uninstaller which makes sure to remove files which are usually left behind. This tool offers to make your computer perform faster. It does it by optimizing internet settings, defragmenting disks, Program accelerator, Startup Optimizer, and maximize free memory. 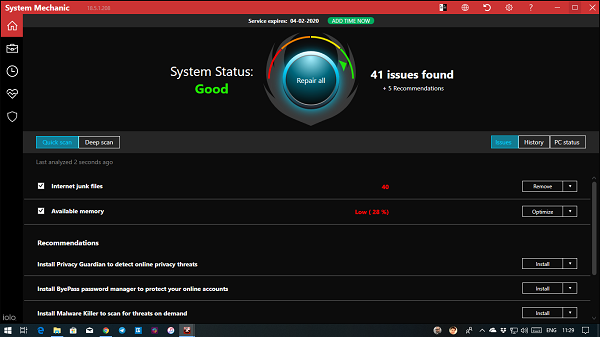 This tool reveals and fixes security vulnerabilities, prevents personal data sharing and more. It also offers Desktop File Incinerator. It’s like file destroyer which makes sure it cannot be recovered using any file recovery software. Once installed it will appear on the File Explorer and integrate itself with right-click menu. It’s an excellent option if you want to delete essential files forever. The last two options are Recover and Manage. 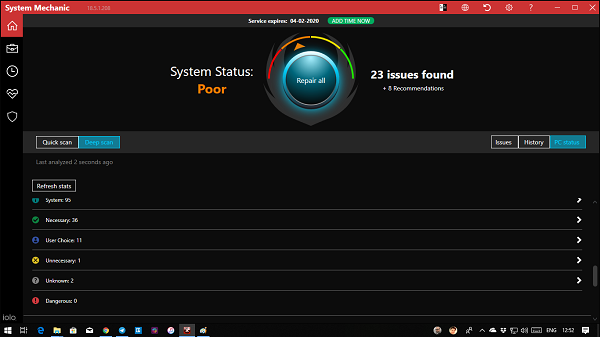 Recover helps you run System troubleshooter, and Restore to bring your PC back to an old but working state. They open Windows Settings. Manage Settings opens Control Panel is list format which makes it easy to find them. It’s an automatic setup which runs when the computer stays idle. It cleans and repairs registry problems. Eliminate unnecessary programs from startup. It removes junk files, private browsing data, and more. For each of these, you can choose what you want to remove, and what you want to keep. So spend a good time configuring it before running it. You can decide when to run Active Care, how many times it should run, etc. 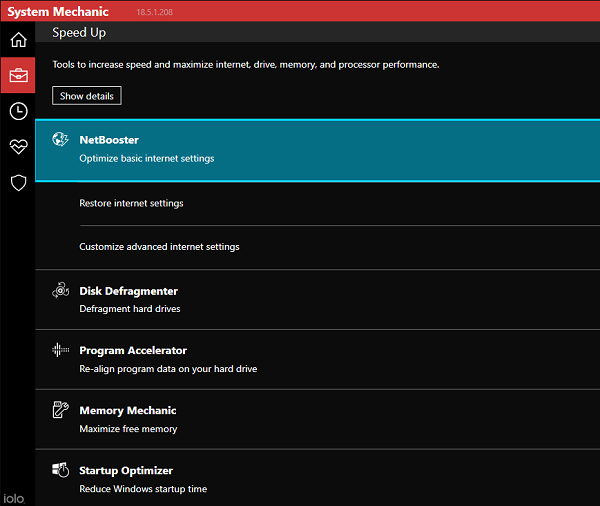 This sections real-time boosting as you use your computer. You can check Core usage, Speed and responsiveness of the system. It offers power modes which are suitable for different usage, i.e., Gaming, Video-Audio processing, maximizing battery, web browsing, and connectivity. This particularly useful if you are using a laptop where battery usage is sometimes restricted to keep it running for long. System Mechanics also uses AccelWrite feature which offers real-time file optimization. It can prevent file fragments from getting generated to make sure the system performs well. Similarly, you have another feature RAMJet. It optimizes RAM. Lastly, you have Core Optimization and Power Sense. Core Optimization makes sure that all cores are appropriately used, and it also prevents lags. It can balance CPU demand, and improve program responsiveness by preventing background tasks from monopolizing CPU resources during periods of high activity. It only checks if you have a Security software installed on your computer. The rest is all general information about antivirus to educate the users. We highly recommend you to buy System Mechanic! This all in all software costs usually $49.95, but right now is on sale for $14.99. While you can keep using the software forever, new product features will need to upgrade from time to time. System Mechanic is a great software which combines a lot of features in one place. You don’t have to invest in different software, but one. 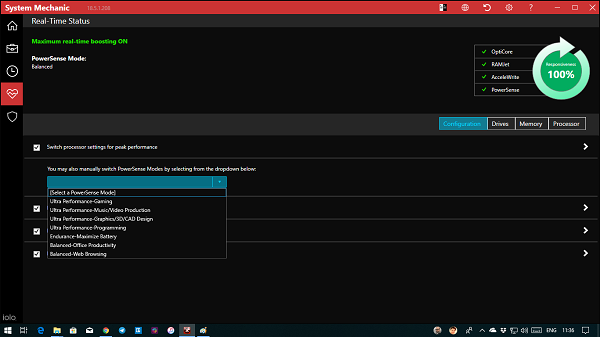 Also, it gives you quick access to Windows settings and features which saves a lot of time.